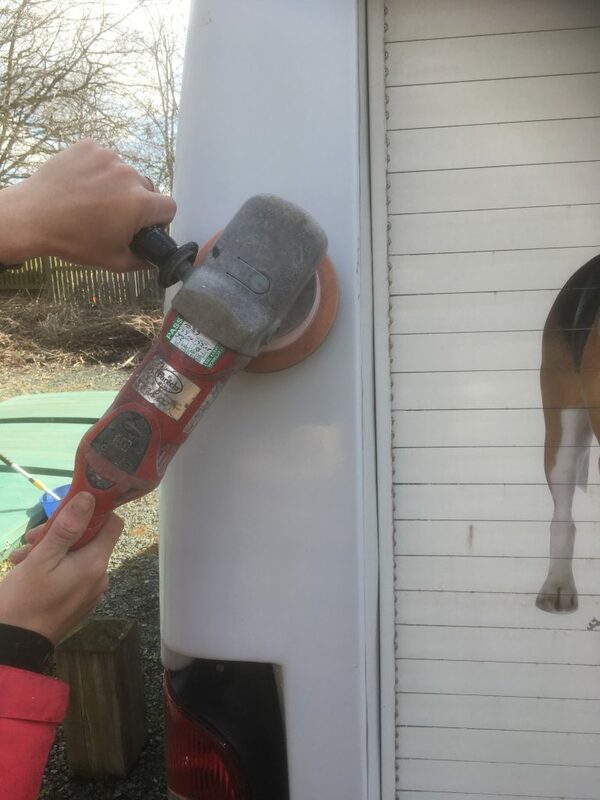 In addition to cars, caravans and motorhomes, SSA Valeting and Cleaning Services also offer a fully mobile van valeting and cleaning service. From time to time, a slightly unusual booking comes in and today is a good example! This large Vauxhall Movano van is a fully mobile cleaning van. 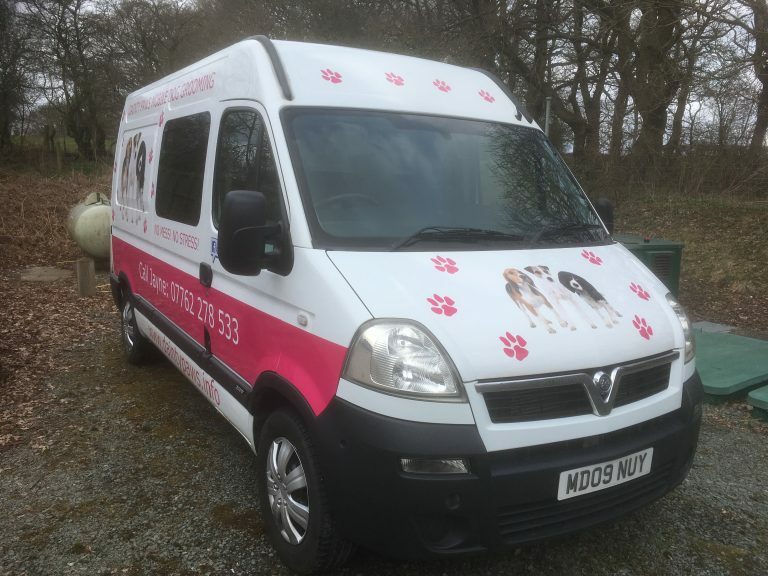 However, the owner does not use her van to clean vehicles – she is a fully qualified mobile dog groomer! Whilst the process for cleaning a van is similar to that for cleaning a car, the timescale is longer simply due to the size of the vehicle. 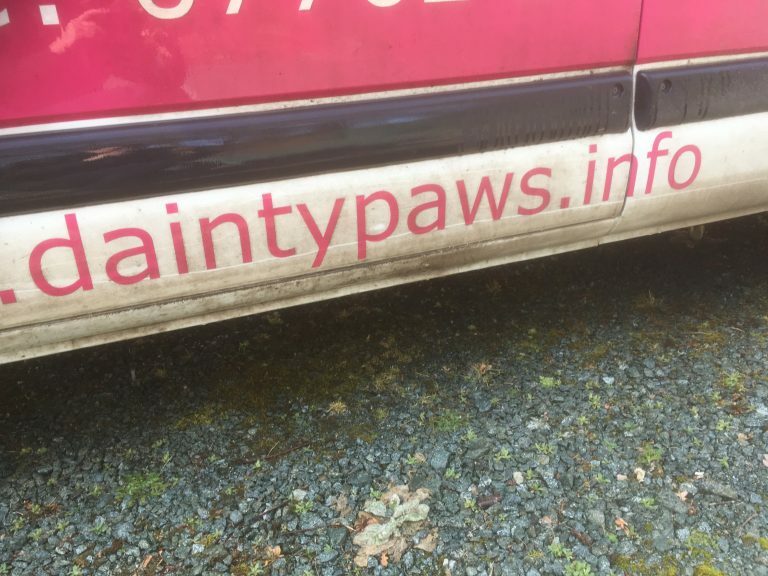 In addition, Jane from “Dainty Paws”, chose to have the whole van buffed, polished and then waxed. SSA Valeting and Cleaning Services proudly use Carnauba wax. This helps to keep that newly cleaned look. Raindrops form beads on the van surface. Prices for mobile van valeting and cleaning start from £40. Prices to include the buff and polish, plus a hand wax with Carnauba start at £60. Now then, it goes without saying that SSA’s own dog…… You can guess the rest! 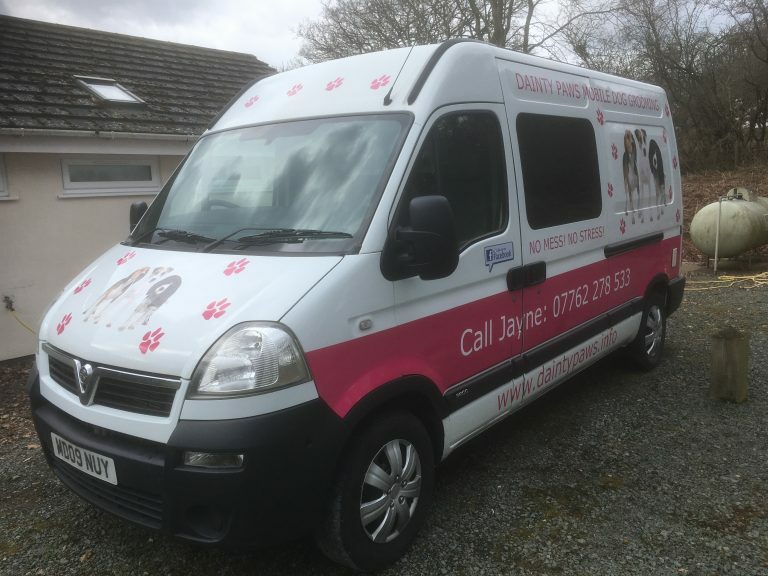 Consequently, I’m more than happy to recommend Jane and her mobile dog grooming business. The website is available by clicking here. Remember, SSA valeting and cleaning services offer a fully mobile valeting service. The SSA van has on board water supplies and this means your van can be professionally cleaned at your chosen location. It can be at your work place. As a result, there is no “down time” for your van. Whilst you are at work, I am at work! To make a booking, call Scott now on 07725 547101 or click on the contact form above. Mobile American RV valeting and cleaning – let SSA do the hard work for you! A quick guide to “what’s included?” Simply click on the package that you require.